Welcome to the article. 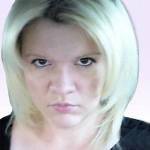 My name is Ms Mandi – Psychic Reader at Lifereader. I would like to share with you my top 9 tips for getting the most out of your psychic reading with me (or any psychic). 1.Be polite to your chosen psychic (after all we are only human). This one is a no brainer – but it’s amazing how many people think that because they are paying for a psychic reading this entitles them to be rude and sometimes even abusive to a psychic. All this will do is create a negative energy environment for both yourself and the psychic and will likely result in a reading that isn’t accurate or even worse; the psychic terminating the reading due to abusive language! Unless you are seeking out a general reading and haven’t got anything particular you would like the psychic to tune into for you, having your questions ready before your reading can help save you time and money and ensure you get a reading about what it is you want. Asking for a general reading will mean that you will get messages that come through that spirit wants you to know at the time (but it may not necessarily be what you want to know at the time). If you are asking questions, it’s best to ask one at a time and allow the question to be answered before moving on to the next. 3. Ask the psychic to elaborate if something they have said doesn’t make sense to you or you don’t understand. Sometimes when translating from spirit form to human form we can get our wires crossed and you may not understand entirely what you have been told – please ask for further clarification or confirmation. It’s what we are here for! 4.Go into the reading with an open mind and be prepared to hear something you perhaps had not expected. People often seek out readings at times when they are in a deep emotional state of distress and they’re fixated on a certain outcome. Sometimes this outcome is not shown in the reading as you would like for it to be. Keep an open mind and allow time to think over the possible outcome after your reading and if it’s not how you want it to be, how you can change the course of the outcome. 5.Don’t give your power away. Never give your power away to a psychic (or anyone else) for that matter. You alone are the master of your destiny and are capable of creating and manifesting the life that you want. You are never at the hands of fate. You are always in control of you, your life and your decisions, even at times when you feel situations are out of control – you still have power. Don’t let anyone persuade you otherwise! 6.Allow your chosen psychic time to answer your questions. Generally, psychics won’t be able to give you an answer on the spur of the moment. It actually takes time, effort and concentration to connect with spirit, as the spirit world operates on a different vibrational frequency to be able to bring you accurate and detailed answers. It’s a little like tuning into your favourite radio station but without the technology of auto-tuning! 7.Choose a psychic from a reputable company. 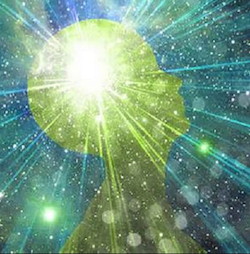 It’s no secret that there are people who claim to have psychic ability but have none. These are only in the minority but they do get around and give the industry a bad name. To ensure you are getting a reading from a genuine psychic it’s best to choose a psychic that has been referred to you by someone you know and trust or choose a psychic from a reputable company such as Lifereader. Psychics obtaining work through reputable companies have their skills scrutinized to ensure the clients will only get the very best. 8.Be wary of psychics who ask a lot of questions. Even the best psychics can sometimes get messages from spirit that needs clarification from the person seeking the reading. But if you find the reader asks too many questions, this is a red flag and a reason to be cautious. 9.Ask the psychic to reveal something about your past and/or present. When a psychic is all about reading the future, this can be another red flag and warning sign. Ask the psychic to reveal something about your past and/or present that you can confirm. Let’s face it – anyone can make claims about the future – but giving you something solid about your past and/or present will assure you the psychic has tuned into you accurately and has genuine psychic ability!